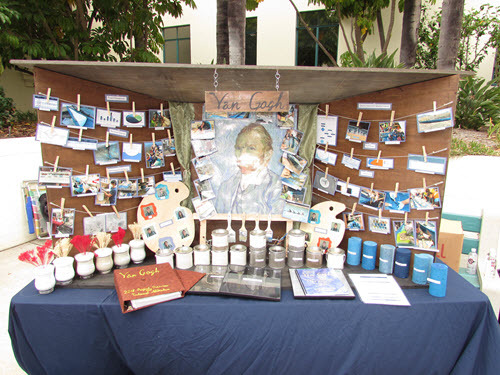 Vincent Van Gogh would be proud. 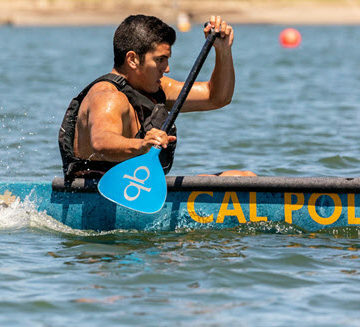 The Cal Poly, San Luis Obispo concrete canoe team’s performance at nationals – with its canoe named Van Gogh – was nothing short of a work of art. Cal Poly SLO won the 2018 National Concrete Canoe Competition this weekend at San Diego State University in impressive fashion. The team took first in the oral presentation and in final product. 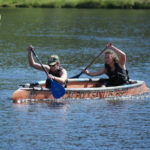 Their Race Day showing then put the finishing touches on the masterpiece, as Cal Poly SLO paddlers swept all five races. It was the team’s second consecutive national championship. The back-to-back feat marks the Mustangs as the first repeat NCCC winners since the 2010-2012 three-peat by … you guessed it – Cal Poly SLO. The University of Florida finished second for the second straight year – placing top five in all four categories. Universite Laval placed third in the overall standings, followed by Tongji University in fourth, and Youngstown State University in fifth. Tongji earned first place in the design paper category, and its fourth-place overall matched last year’s finish. Youngstown State – the third straight representative from the Ohio Valley Student Conference to place top five at nationals – won the 2018 Innovation Award for its use of self-consolidating rapid-strength concrete with calcium sulfoaluminate cement. 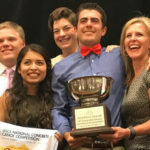 “Spirit of the Competition” was a point of emphasis by ASCE at this year’s nationals, and it showed throughout the weekend. The first-year wild-card teams brought a sense of excitement to the event, and several schools lent a helping hand to one another on Race Day. Not surprisingly then that the Spirit of the Competition Award was split among different recipients. Colorado School of Mines ASCE Student Chapter President Shelby Palisoul, who rode with the teams from Laval and Polytechnique Montreal when their trailer broke near Denver, earned the individual honor. The University of North Carolina Charlotte, meanwhile, received the team award. 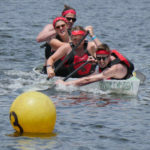 Charlotte dealt with the surprise stress of a missing canoe for most of the weekend, after their canoe’s arrival was delayed by five days because of a UPS delivery error. They kept a positive attitude and were relentless on the phones, until it finally arrived at 5:30 a.m. on race day. “It went from semi-bad news to worse news to not getting better. We didn’t have a lot of hope there at end,” said UNC Charlotte team member Natalie Lyne. What do you do for an encore to the encore? Cal Poly SLO’s win gives the program five national concrete canoe titles, now tied for the most all-time with the University of Wisconsin-Madison, UC Berkeley, and the University of Alabama-Huntsville. 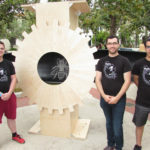 Next year’s team will have a chance to break the tie when the nationals are hosted by the Florida Institute of Technology.